Technology is sweeping the promotional product world by storm. From power banks to selfie sticks to USBs, there are tons of wonderful tech pieces to choose from. 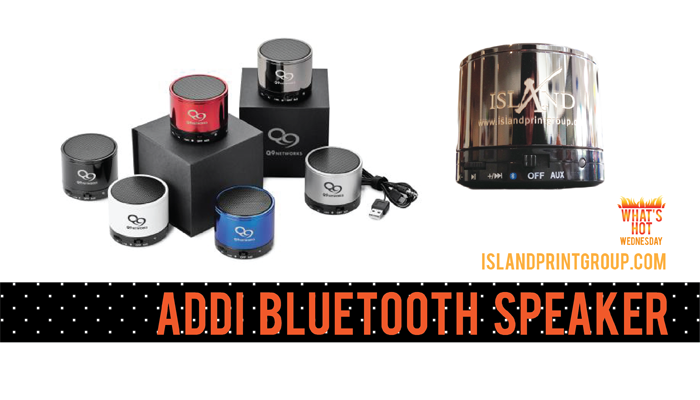 Today, we’ll be talking about the ever awesome Addi Bluetooth Speaker. 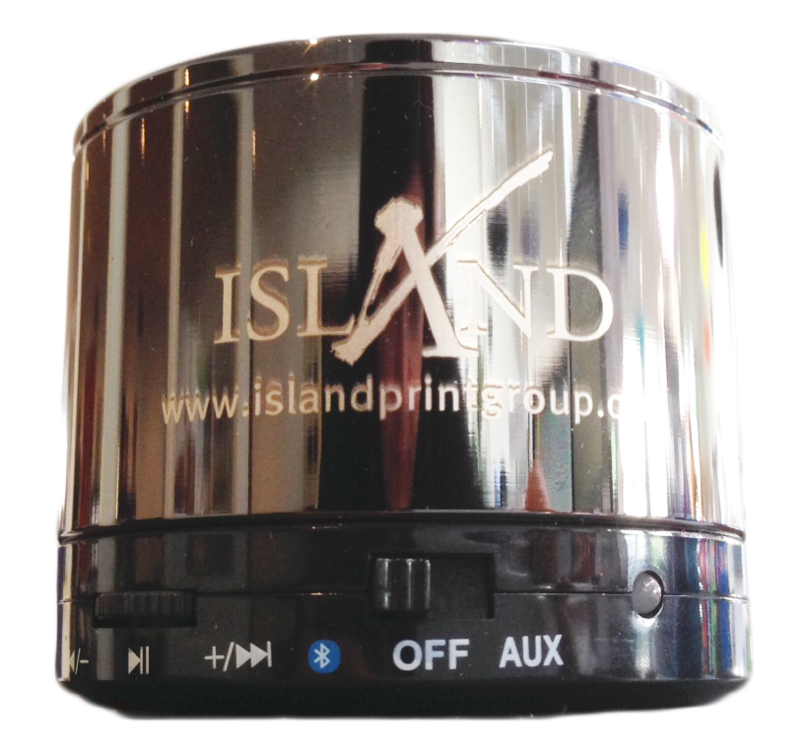 This is a metal speaker with controls for adjusting volume, play/pause, skipping songs accepting/rejecting/redialing phone calls, a built-in microphone and LED status indicator. You read that right, YOU CAN ACCEPT CALLS ON IT when it’s paired with your cell phone. How freaking cool is that? 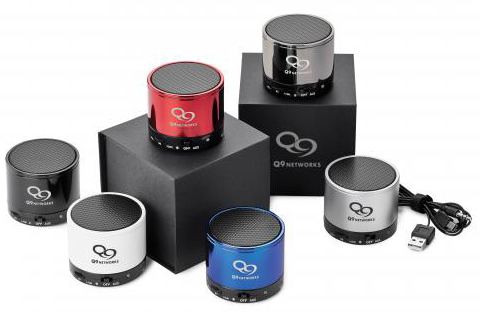 This is compatible with audio devices that have a 3.5mm audio jack and Bluetooth technology. It includes a multi-purpose charging/audio cable with USB, micro USB and 3.5mm plugs. The default branding method is the beautiful laser engraved. Your optional branding methods are 360 Full-Wrap Laser, Pad Printed one colour or Additional colour Pad Printing. Pretty much, you can make these bad boys look amazing. The packaging presentation is wonderful. They come in these beautiful black boxes, with the option of silk screening your logo onto it for extra pizzazz. These little guys pack a big punch. I cannot recommend them too highly. From now until June 1st, you can enter to win one! Just click the contest button below! What’s Hot Wednesday: Stress Relievers!